For sailing you have wind. No wind means so that we will not leave. Too bad, but it gives us the possibility to explore the island some better and some more to the vessel. 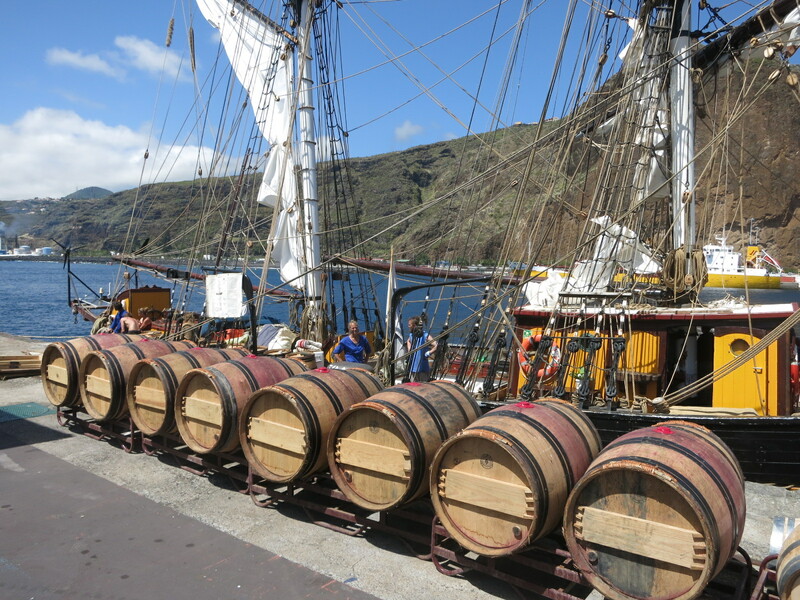 The vessels were already loaded, the rum Aldea large stock of food was placed in storage, but, no wind! And since it makes little sense to spend a few days off the coast of La Palma to Bob and you go through your stocks back to eat it was decided to wait. In the meantime it is Friday 27 May and the wind seems to be approaching. So perhaps we leave tomorrow or the day after. Apart from work on the ship was thus ample opportunity to explore the island. Together with Ernst and Sam, and later also Carl, we rented a car and we are two days on the island gecrost. So two days enjoy a varied landscape. In one of the villages we saw the preparations of a Catholic party. In the dry volcanic South we saw the salt production. In the high mountains in the Middle it is fantastic for hiking. And the tropical waterfalls in the North were breathtaking. 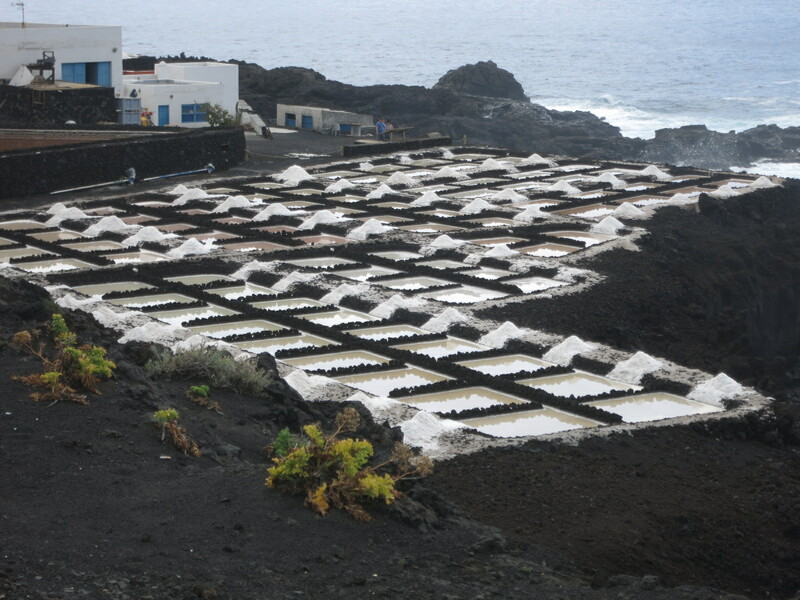 We were really amazed by the variety of La Palma. Especially the area around the waterfall Tide was overwhelming, stunning! Except good rum and cigars they turn out really good wine. There is therefore a casket with it for home. 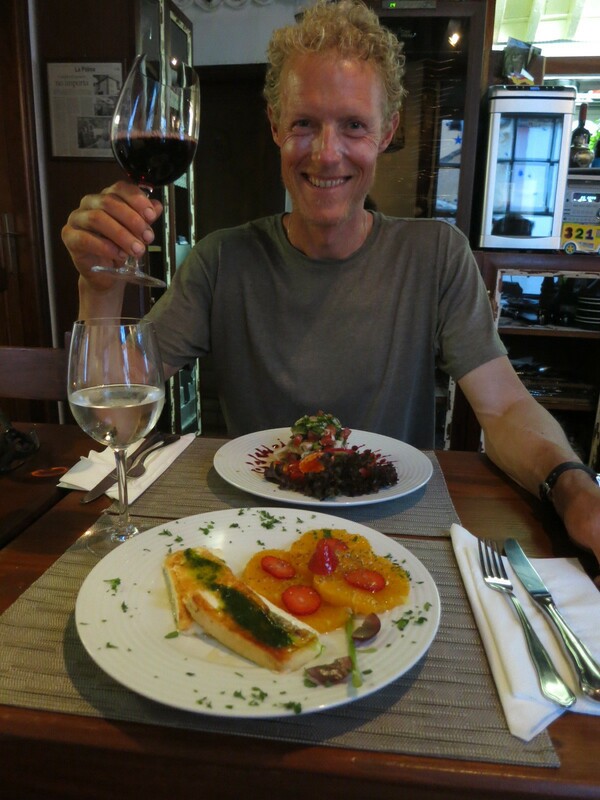 And we have great fun and good food in the smallest restaurant in the island, four tables. Because the Cook on board is fine, but it is also sometimes nice to have your teeth once again in a good steak. Now it’s so fingers crossed for wind, because even longer hang around here goes against. We have a last was done and are ready for it, we want to sailing! So hopefully to about only a few weeks.